Get eight games for $15. Publisher Curve Digital is getting the Humble Bundle treatment again. If you didn't grab the bundle last year, you've got another shot now. For a dollar or more you can add Serial Cleaner, Stealth Inc. 2 and The Little Acre to your collection, though you'll need to splash out a wee bit more to get the best stuff like Bomber Crew and Human: Fall Flat. If you pay more than the average ($6.32/£4.76 right now), you'll get Smoke & Sacrifice, Stickbold and Human: Fall Flat. The latter's a puzzle game with funky physics, and I know what you're thinking: "I refuse to play a puzzle game with funky physics unless I see some gifs." I feel you. 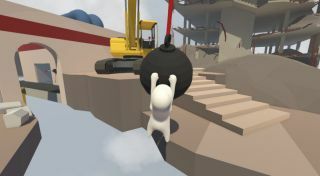 Luckily, Samuel Horti gathered a bunch of them when he showed off 15 ways to solve Human: Fall Flat's ridiculous physics puzzles. Spend $15/£11.30 or more and you'll be able adopt For the King and Bomber Crew. For the King is a hexy, tactical RPG that I've been meaning to check out since it left Early Access, but it's the Bomber Crew that really makes buying the whole bundle worth it. Imagine FTL, but you're in a strangely cute World War 2 bomber. It's a lot more stressful than it looks, but like FTL, you'll end up with plenty of anecdotes. You can grab the bundle until April 2.